Nancy Mendenhall’s story begins in 1907 with the decision of her grandparents (and mine) to flee Tacoma’s smog to start a fruit farm irrigated with water pumped from the Columbia River in eastern Washington. Frank M. Wheeler was a union bricklayer and his wife, Jeanie, was a schoolteacher. Frank had picked up a land speculator brochure offering cheap land. Soon the young couple moved into a tent house on their five-acre farm near the little town of White Bluffs on the Hanford Reach of the Columbia. It was to be their home for 36 years. Mendenhall likens the enterprise to a mirage, always shimmering just out of reach across the desert. Frank Wheeler was forced to travel to construction sites as far as New York City, toiling for $11 a day. Jeanie worked in fruit packing sheds. “Mater commonly packed 100 boxes in a ten hour day, or 11,300 apples, for a wage of $7,” writes her eldest son, George Shaw Wheeler. Then she went home to cook for her six children and tend her own orchard. This off-farm income kept the farm afloat. 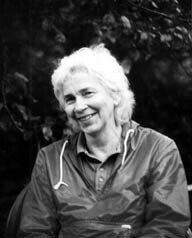 Mendenhall, who resides in Nome, Alaska, based her book on family correspondence and interviews with the Wheeler children and grandchildren, as well as her own memories of summers amid those fruit-laden boughs in White Bluffs. The book is illustrated with many pages of archival photos. Mendenhall writes sympathetically of the people’s struggle to build a viable and civilized rural community. Political toleration seems to have guided the project. The Wheelers were socialists, subscribers to the Appeal to Reason. Jeanie became a member of the Board of Elections of White Bluffs representing the Socialist Party. A tiny but energetic woman, she and her mother, Jane Shaw, helped establish the Parent Teacher Association, the Well Baby Clinic and the public library in the town. How they found the time after their dawn-to-dark toil is a mystery. They were also stalwarts in their church. This grassroots dynamism made it difficult to isolate the Wheeler family even during the World War I “Red Scare.” Socialist leader Eugene Victor Debs was imprisoned for his antiwar stand and Attorney General Mitchell Palmer launched a nationwide witch-hunt. In Washington State, IWW members were lynched in the infamous Centralia massacre. Yet the Wheelers, outspoken war opponents, seemed to escape relatively unscathed. They were anti-racists, opposing the infamous Oriental Exclusion Act and befriending the Wanapum Indians who came through White Bluffs each spring on their way to Yakima from their village on the east bank of the river. Frank Wheeler often presented them with boxes of succulent apples and peaches when they returned home in the fall. Members of the Grange, they fought for programs that benefited rural America such as full parity prices for farm commodities. Whether Republican, Democrat or Socialist, every farmer in the valley was caught by what Mendenhall calls the “”three-headed beast,” the railroads, power companies and “market” that had the small producers at their mercy. In ceaseless battle for survival, the farmers set smudge pots to ward off late frosts and sprayed arsenic to kill the coddling moths and other infestations. The book describes vividly an era when being an outspoken socialist or communist was accepted by neighbors and co-workers as “normal,” a spirit of democracy that seems to be regaining ground in our crisis-wracked country. Mendenhall writes that Wheeler family members were drawn deeper into the struggles against mass unemployment and poverty and the rising menace of fascism during the Great Depression. Some joined the Communist Party and Young Communist League. Mendenhall ends her book in 1943 with the mass eviction of the farm families from White Bluffs and Hanford to make way for the Hanford Nuclear Reservation where plutonium was enriched for the bomb that destroyed Nagasaki. Mendenhall writes that the eviction notices arrived like a bolt from the blue just as the war was pushing farm prices higher and a mild spring had promised bumper crops. Since the Manhattan Project was top secret, no one had a clue as to why their land was being confiscated. Families were given 60 days to clear out. The U.S. Army sent trucks to carry family belongings to wherever the evictees were moving, one truckload per family. A tragic high point, or low point, of Mendenhall’s book was Bapa, as we called our grandfather, forced to ride on top of the loaded truck across frigid Snoqualmie Pass to western Washington because there was no room in the cab for him. The orchards and homes of the settlers were bulldozed, their “Eden” on the Columbia transformed into a factory of nuclear death that is now the nation’s most lethal radioactive waste zone. Bapa mourned the loss of his beloved orchards for the rest of his life. But Nana, my grandma, lived to 104 and was honored as a “pioneer” during a special session of the Washington State Legislature which she attended. This book dramatizes a great American tragedy. Millions of men and women toiled in rural America and succeeded in realizing their dreams of a productive, rewarding life for themselves and their children, only to be ruined by the iron law of capitalist profits. In my grandparents’ case, their dream went up, literally, in a mushroom cloud.